Ladies Necklace is a trendy silver tone Turkish style choker necklace. Carved design on the necklace and coin shaped charms add to its beauty. - Gold & Black Combination looking so Cool..
We provide a specialize assortment of Charms Twinkling Neck Piece to our honorable customers. Its perfect design makes it look amazing. Simple yet elegant piece of hoop beaded necklace is designed with multi-shaped & multi-colored beads. - Color: Black, White and Gold. 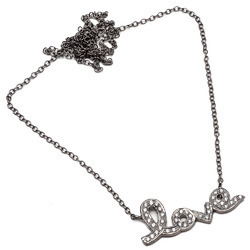 This charm necklace is crafted from silver and studded with zircon stones . Every sparkling creation is like moonlite sea on a night of igniting passion and eldmiration.